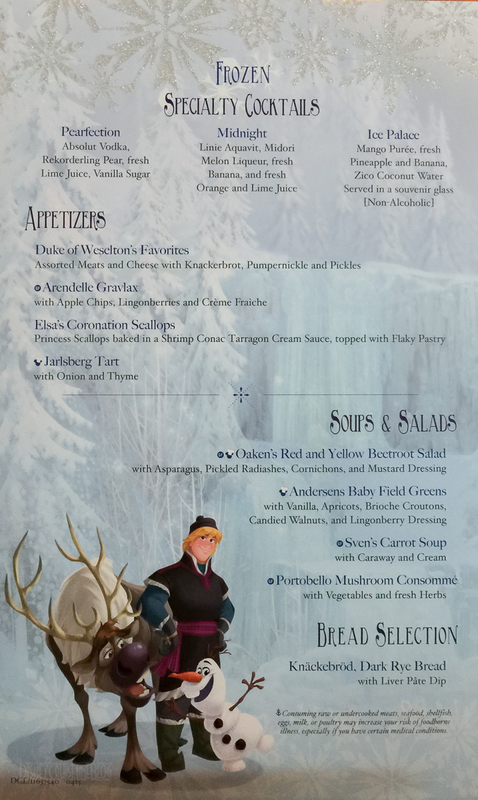 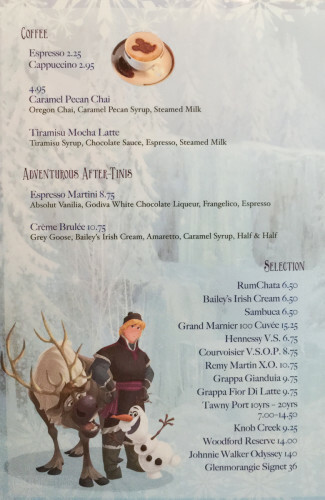 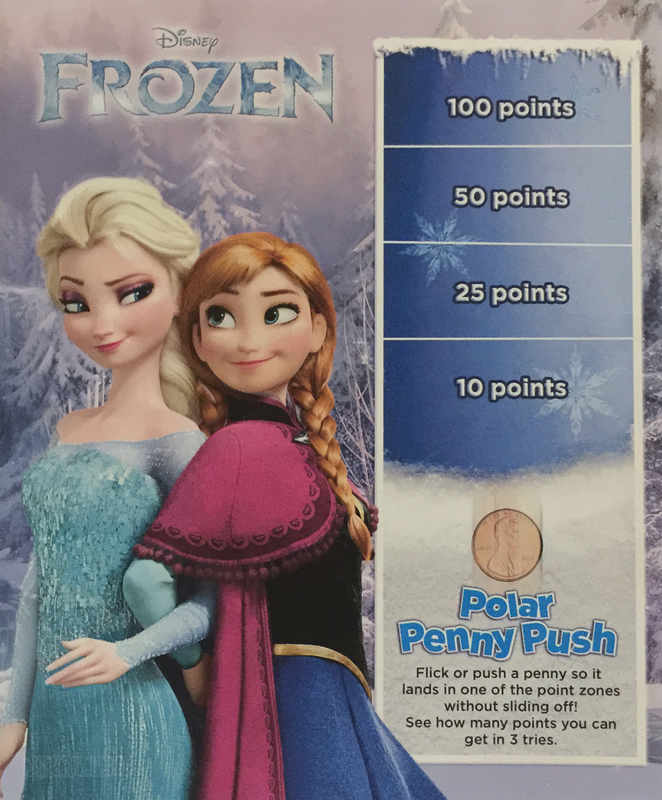 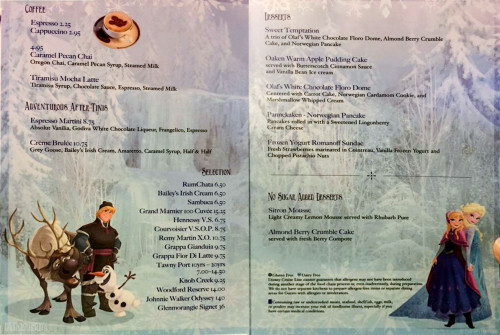 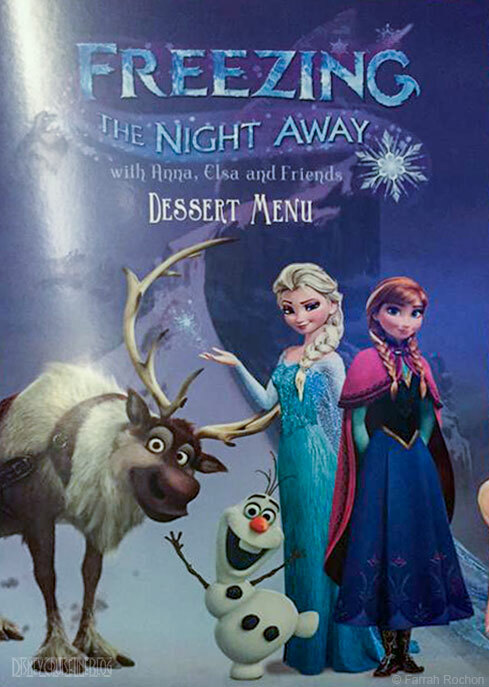 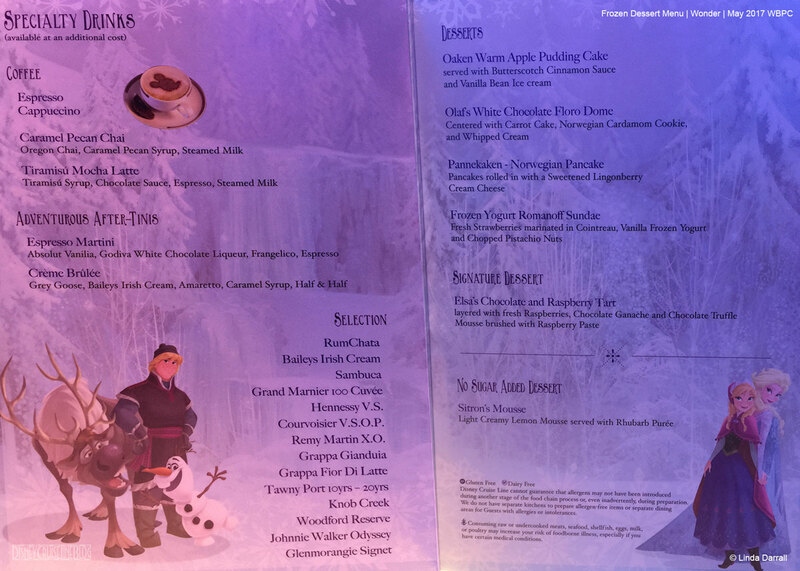 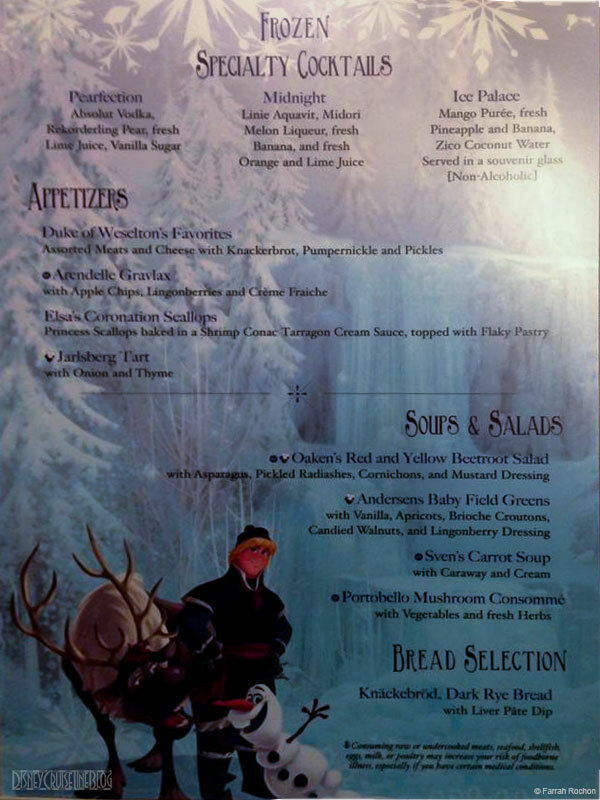 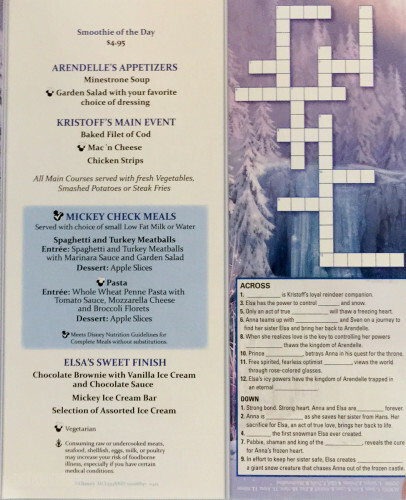 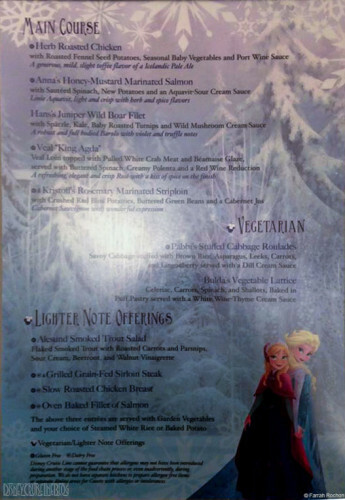 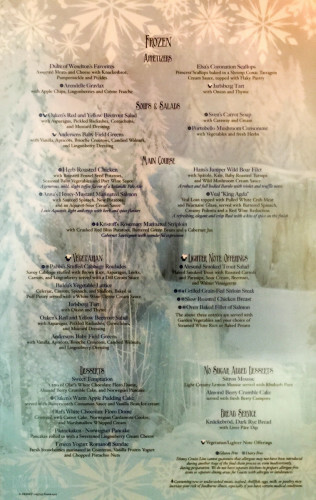 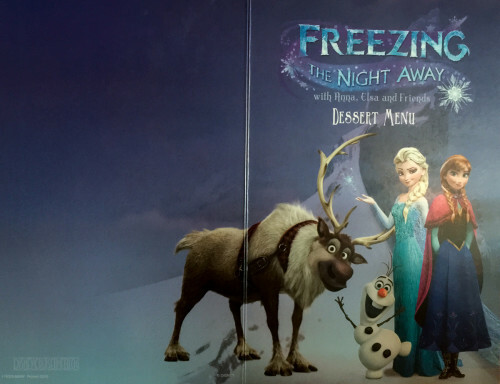 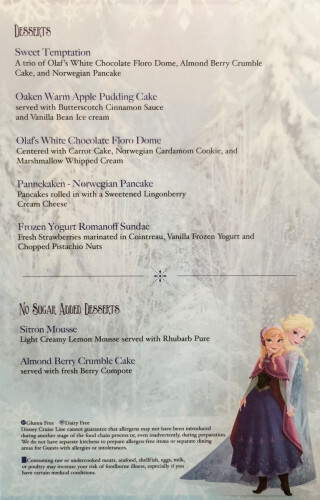 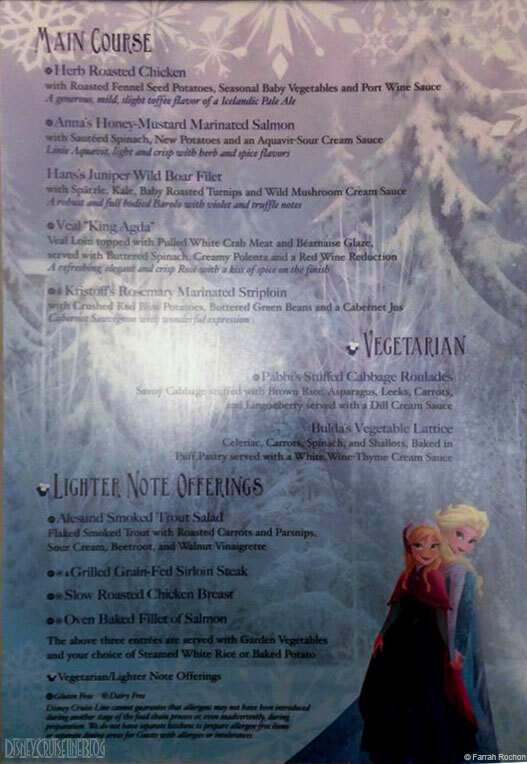 Freezing the Night Away with Anna, Elsa and Friends menus shared by Farrah Rochon from the May 2015 Westbound Panama Canal Cruise aboard the Disney Wonder. 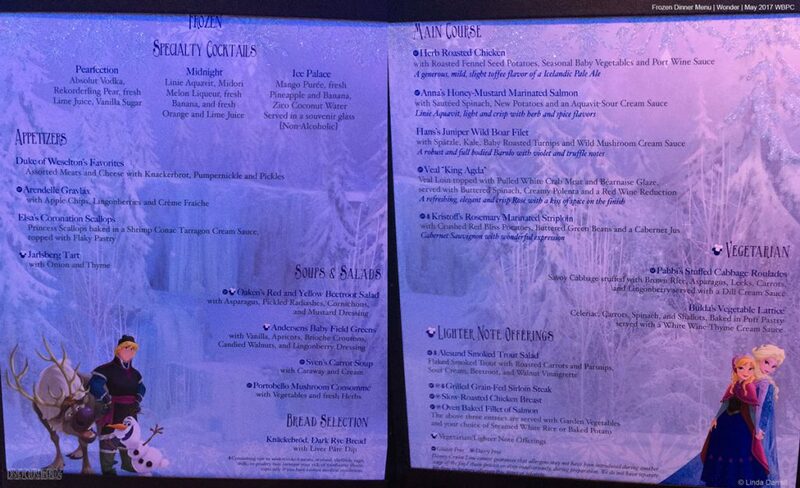 Linie Aquavit, light and crisp with her and spice flavors. 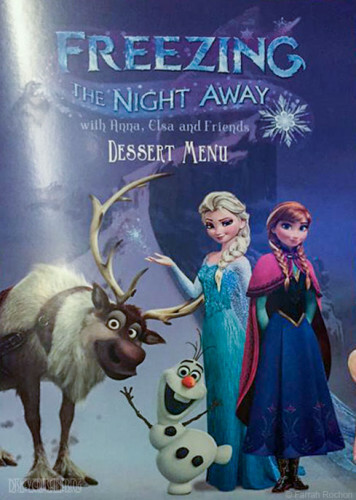 A refreshing elegant and crisp Red with a kiss of spice on the finish. 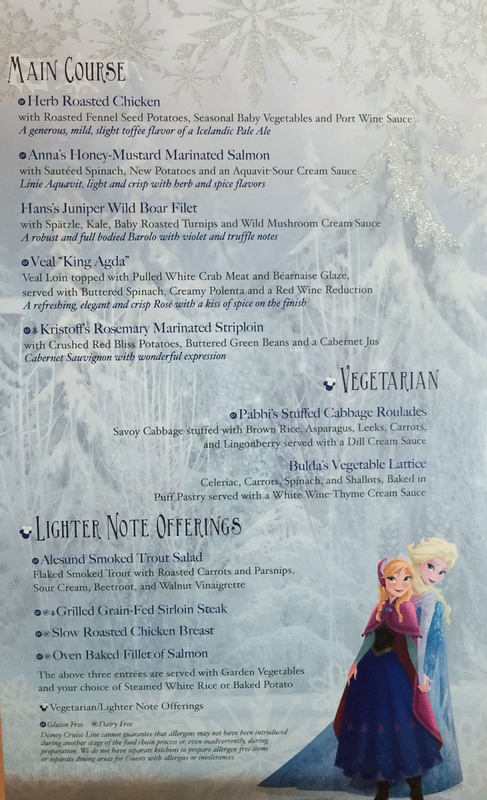 Cabernet Sauvignon with wonder surprises.